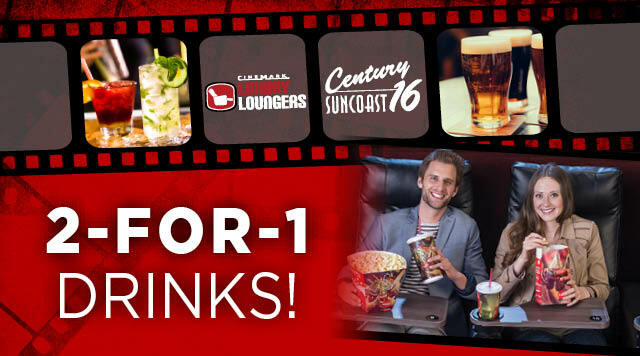 Movie Theater Redeem your Movie Stub and receive 2 for 1 drinks! Must be 21 years or older. Movie stub ticket must be used within 5 days of the purchase of the movie, not valid on holidays. Limit one offer per guest, per visit. Management reserves all rights.